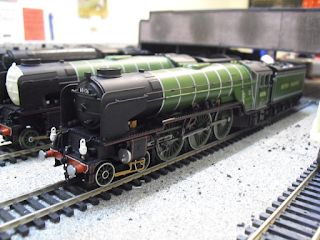 THE BRITISH RAILWAY STORIES LTD: "Of apple greens and things...Bachmann Tornado conversion, Part 2"
"Of apple greens and things...Bachmann Tornado conversion, Part 2"
In the last blog on this project, I had started turning Bachmann's apple green model of 60163 Tornado into 60136 Alcazar (although I must emphasize, in apple green 60136 was always unnamed). The next stage of the build was tackling the tender rebuild. The coal space needed to be lengthened by a prototypical amount, and a new water filler cap needed adding. 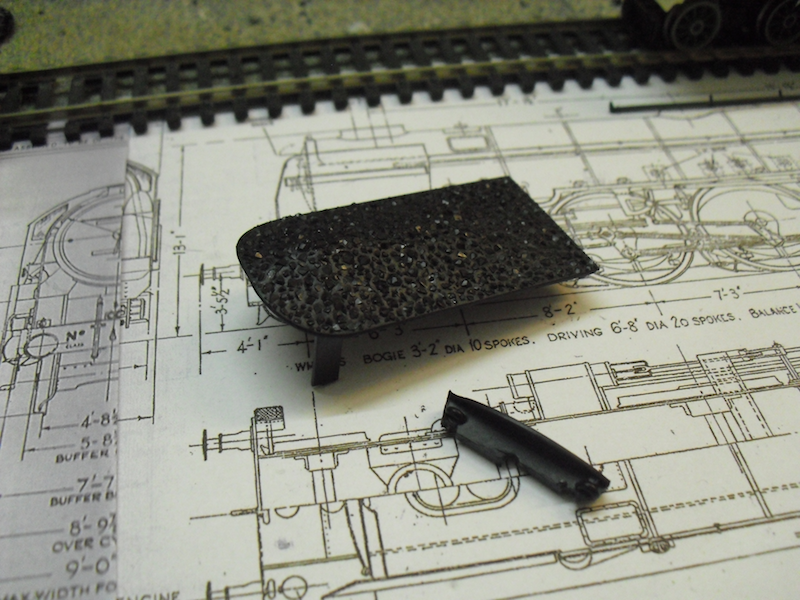 I started by drilling into the moulded coal at the front of the tender. A sharp scalpel was used to cut between the drill holes, and several different files were used to produce this finish here. I then repeated this method with the rear water tank. 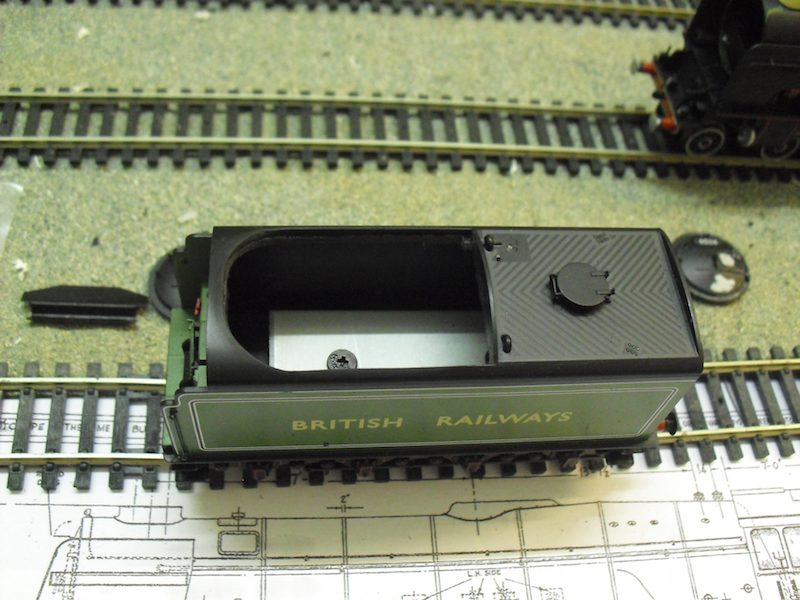 One thing you will notice is that I have left the curved bulkhead in situe for the moment. This is to allow the tender to retain some rigidity while cutting out, and filing, both ends of the tender down. Now, do you remember all of those moulded coal inserts that come with the original Peppercorn A1s? How you'd normally throw them away or store them indefinitely? Now they can be useful again! 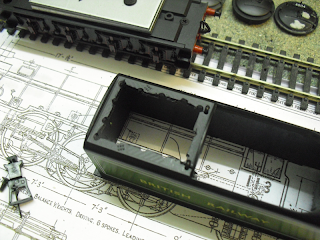 By inverting the moulded coal piece, clipping the attachment points, and gluing to the inside of the Bachmann A1 tender, you have the correct length tender space, ready made. 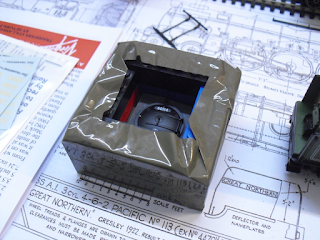 I reattached the bulkhead too, and created the water filler cap's floor from plasticard. The only thing missing at present is the quarter semi-circular piece on the bulkhead, but I'm working on a cunning plan for that (for a future update). 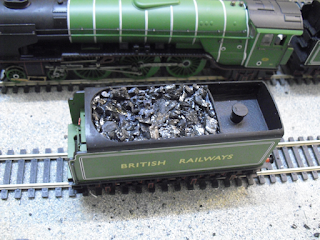 I added the coal (crushed lumps of real coal) and glued these back down with PVA, straight from the bottle with no diluting whatsoever. The photographs I've collated of 60136 have several shots of it coming out of King's Cross with a very overladen tender of coal, so this amount is actually rather conservative in comparison! 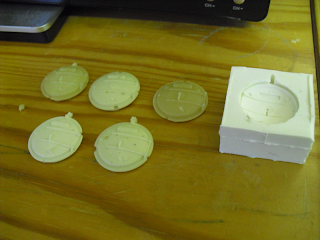 Now for the next modification. 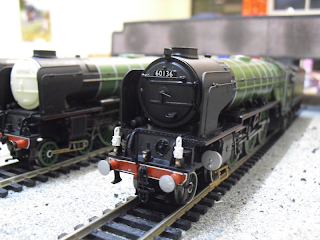 The Bachmann Tornado's smokebox door is wrong for any A1 Pacifics I intend to depict in the 1948-50 period, by way of the numberplate being on the top strap instead of above it. I therefore removed a spare door from a Doncaster A1 that is also being modified, and removed the handrails and top lamp iron. This was then stuck down onto a piece of plastic. 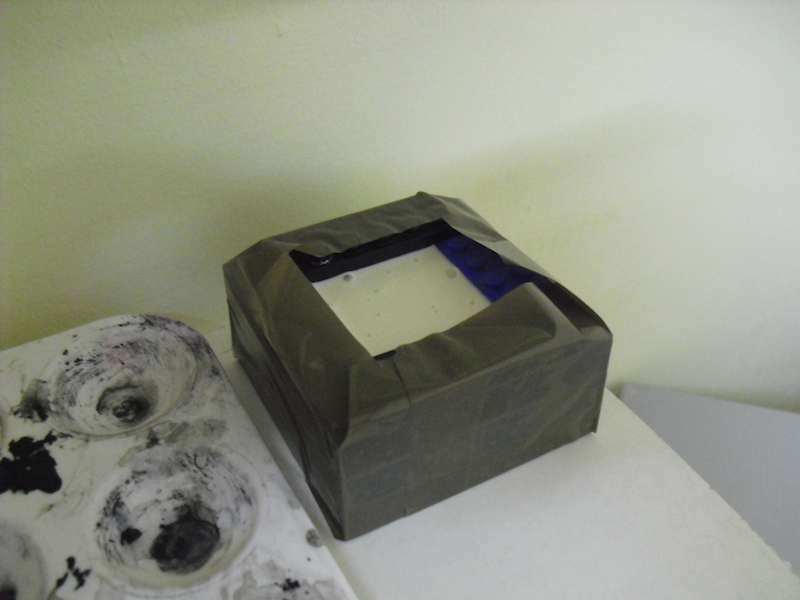 A moulding box was made out of Lego bricks, and sealed through the use of postal tape. The moulding box was filled with Alumilite Moulding Rubber, and left to set for a 24 hour period. Once set, I had a go at casting plastic copies of the original smokebox door. It's something of a black art this, and I cast quite a few before getting one which was "just right". 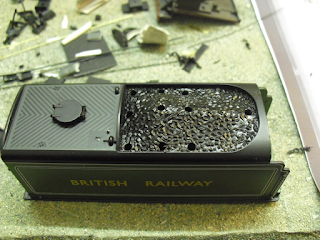 The top electric lamp was removed from the Tornado smokebox door and added onto the plastic copy. 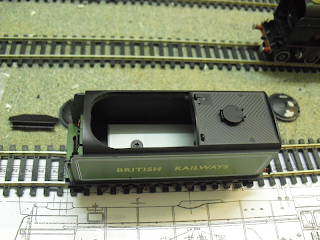 The handrail knobs were reused, albeit with new wire, and an upper lamp bracket was taken from my previous A4 conversion kit to complete the smokebox door. The results speak for themselves, I feel. 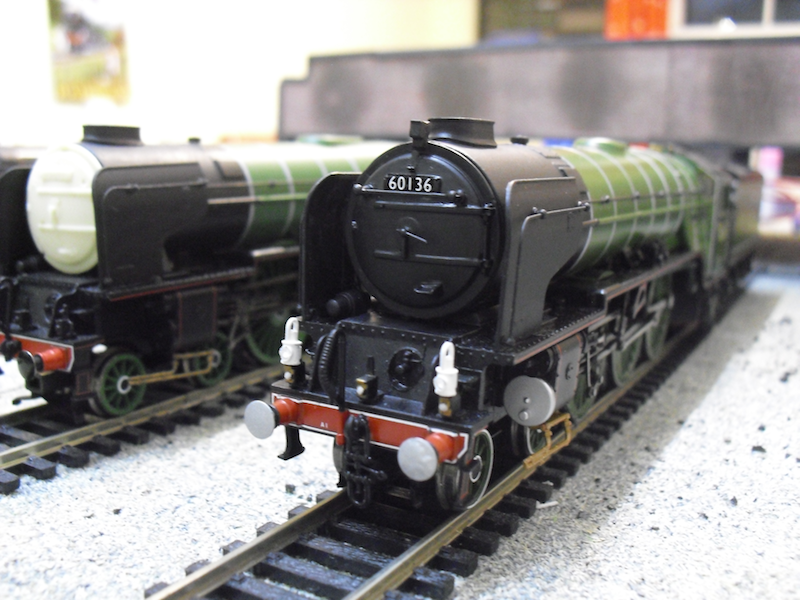 What we have is nothing more, and nothing less, than 60136 as she was in 1948/49 and in apple green. A very straightforward conversion that anyone could do for themselves. 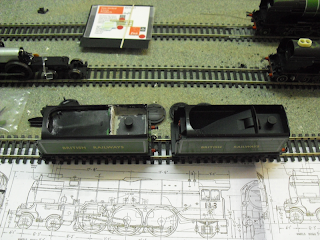 I've been very much encouraged by the results of this particular test build, and am looking forward to doing this conversion a good many more times for my planned fleet of A1s to use on the forthcoming new layout I am developing behind the scenes. 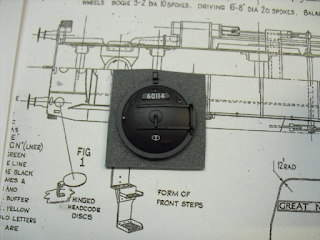 The advantage of casting the extra smokebox doors, comes from being able to now provide decent smokebox doors for A1s, A2s and (with the lower step removed) any of the Thompson A2 varieties as well. 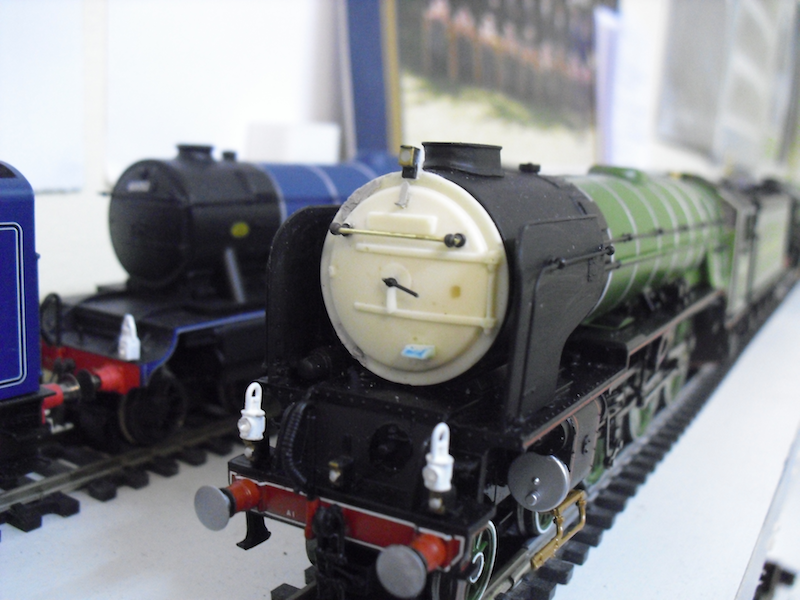 When (not if) Bachmann release their Express Passenger Blue Tornado model, I'll be ready to do some modelling of Darlington batch blue A1s too. 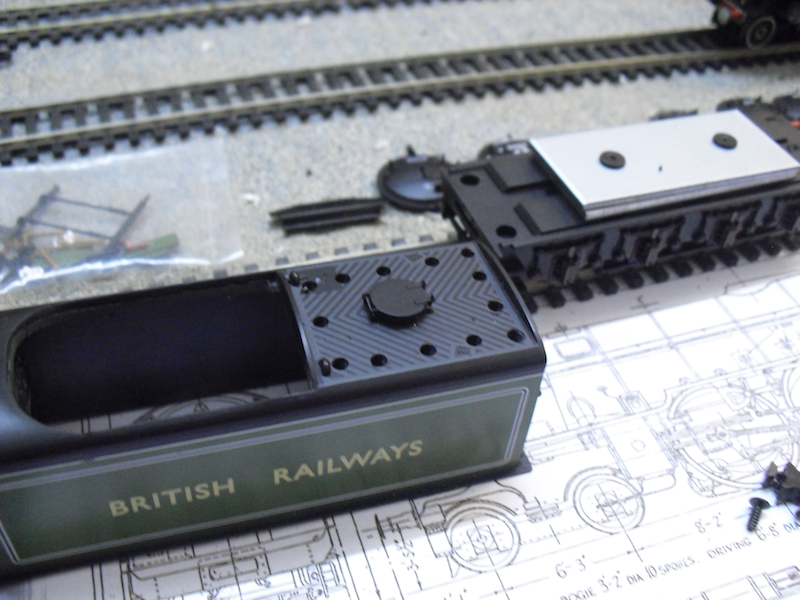 Not only that, I can finally retire my original 60130 Kestrel (made from a Doncaster batch) and make an accurate one! The Doncaster model will then be put to good use as 60120 Kittiwake (a rare bird in my fleet in that I intend to have a model of her in apple green, and in Express Passenger Blue too). 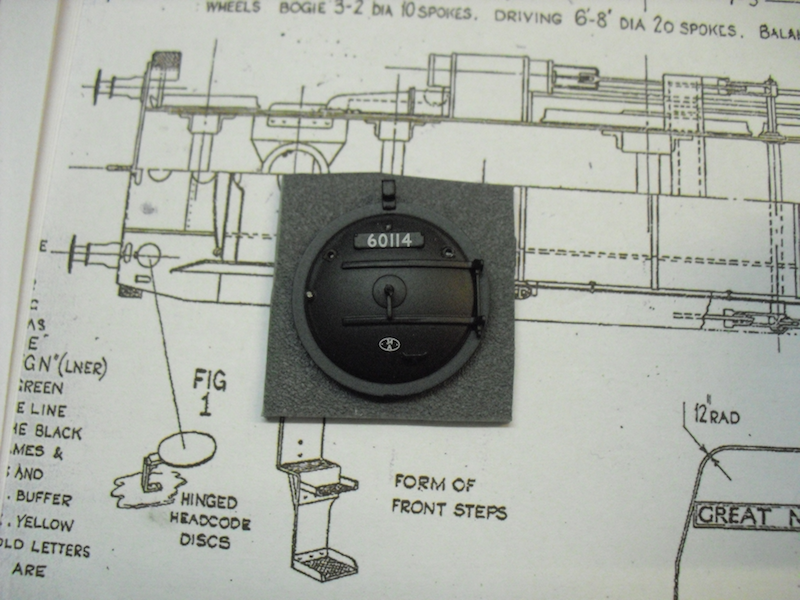 I also intend to have a go at replicating the Hornby A3 smokebox door in the manner described above, so I can provide copies for modifying the latest Bachmann V2s again too. "Merry Christmas, one and all!" "Hornby Thompson O1: A must buy before you die"
"Post Hornby Announcement: a few thoughts"
"Hornby 2013 Announcements: a review"
"Hornby B1: repairs and renumbering"